The new BMW X5 Diesel Estate was a real trailblazer when it first hit the road nearly 20 years ago. It was a large, heavy car that was actually fun to drive. It still is – but so are its rivals. In 2018, the X5 has a lot to do if it’s to convince buyers of its credentials. Its pros include decent running costs, space, an optional third row of seats, and a good amount of standard kit. It’s also got an upmarket image, even if it’s hardly a 6 Series Saloon. However, rivals are now better to drive. OSV takes a closer look at what it’s all about with our 2018 BMW X5 Diesel Estate review. Make no mistake, despite weighing less than last time, this is still a heavy car that tips the scales at 2,070kg. To all intents and purposes, that sounds like a car that would be awkward to drive, especially when you take into consideration its high-sided profile. On the contrary, the X5 is typical BMW fare on the road – crisp and lithe. Body roll is well-managed in bends, too. There were always going to be caveats, of course. The steering feels artificial and takes a while to centre whenever you leave a corner. And despite its beefy looks, don’t expect this to be a capable off-roader. Insulation is an issue as well, and the large tyres will make some noise. In terms of the engines, you’ll need to peruse the petrol line-up if performance is important to you. 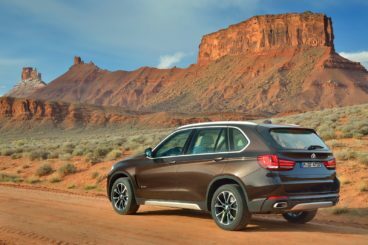 If it isn’t, the more economical diesels are up to the task of hauling along the X5. A 25d model kicks things off. It comes with two-wheel drive as standard but you can specify four-wheel-drive if you wish. Its four-cylinder 2.0-litre engine develops 228bhp and covers the 0-62 dash in 7.7 seconds. That’s not bad but there’s much more to come. A straight six 3.0-litre diesel engine powers the 30d, 40d and 50d models. For the 30d, it offers 255bhp and covers the 0-62 sprint in 6.8 seconds; for the 40d, it develops 308bhp and covers the sprint in 5.9 seconds; and for the 50d, it develops a crushing 375bhp and covers the same gallop in 5.3 seconds. That makes the 50d model faster than a Porsche Cayenne S model, but all three variants of the 3.0-litre diesel drive pretty much the same. They all feel smooth and fast, and they all come paired up with an 8-speed automatic gearbox. As ever with any modern BMW, the X5 sports a classy interior that’s very well built. Standard kit is good, but there’s still a lengthy list of attractive but expensive optional extras that add even more luxury into the bargain. The cabin will be familiar to BMW drivers. The layout is clear and intuitive, and the controls are well-positioned as always. iDrive is standard on all models and it’s better than ever. It comes with a touch-sensitive pad that lets you use your fingerprints to trace letters, and Connected Drive – which is also standard on all models – gets more features, including the brand’s online services, real-time traffic info and Professional sat-nav. Meanwhile, a neat multi-configurable electronic display accompanies the instrument dials. 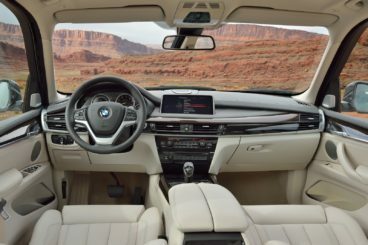 Interior quality is excellent, with the X5 covered in high-gloss plastics and leather. Comfort is top-notch, too, with the front seats offering part-electric adjustability. 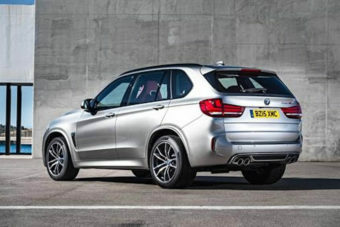 Is the BMW X5 Diesel Estate practical? Just one look at it tells you it’s going to be spacious, and indeed there’s room for a third row of seats if you want to specify them for an extra £1,400. It might not be officially classed as an MPV, but with the sheer amount of storage space on offer, as well as the versatile seating arrangement, we’d have no problem calling it one. There’s plenty of space up front and in the rear, and five adults can travel comfortably in the five-seater version. Headroom is excellent, and deep seat-back pockets and huge door bins contribute to the storage solutions. The boot, meanwhile, measures 650-litres. Fold the rear seats and you can extend that to 1,870-litres. Standard kit is good across the range, with all models getting climate control, cruise control, a digital radio, Bluetooth and a 20GB hard drive for you to store your music on. As mentioned, all models get Connected Drive and iDrive, while Driving Experience Control is another standard feature. It lets you prime the X5 so that it drives the way you want it to. Remote services are also new for 2018.
xDrive models add power-adjustable front seats, high-gloss trim and twin-exhaust pipes into the mix. In terms of how safe the car is, it hasn’t yet been crash tested by Euro NCAP but we have no concerns in this department. It comes with lots of airbag’s as standard, as well as hill-descent control, active cruise control, traction control and braking assistance. Prices for the new car start out from £49,225 and rise to £70,645. For more information on our leasing deals, check out our page here. In terms of its running costs, the sDrive25d model is the cheapest to run. Its modest 2.0-litre engine returns 53.3mpg and it has an impressive BiK rating of 29%. Adding four-wheel-drive to this model changes those numbers to 50.4mpg and 31%, while its price tag also rises by £2,000. The xDrive30d model is a better all-rounder in our opinion. It returns 47.9mpg and has a BiK rating of 33%. Rounding off the range is an xDrive40d model that returns 47.1mpg. It’s not the most involving BMW ever, but it can offer a comfortable ride. As long as you overlook the petrols and stick to the diesels, you’ll be pleased with the blend of economy and performance that’s on offer. It’s fairly crisp but its steering feels artificial and lacklustre at times. For almost a decade, Audi had no answer to the X5 and it set the benchmark in this class. This is no longer the case, with even the Range Rover Sport now offering a better driving experience. Let’s see how the car fares against its rivals in the comparison section of our 2018 BMW X5 Diesel Estate review. The new Mercedes GLE is stylish, spacious and well-equipped. There isn’t really anything wrong with the GLE’s engine range, and all units are highly capable performers that are paired up with fuss-free automatic gearboxes. However, the Mercedes isn’t as involving as the BMW. Its standard suspension setup is a little too firm for our liking, and we recommend spending a bit extra on the optional air suspension as it smooths out most lumps and bumps. In terms of the engines, there are two diesels available. A GLE 250d unit kicks things off, developing 201bhp and covering the 0-62 dash in 8.6 seconds. That’s respectable but it isn’t as quick as the BMW – and neither is it as quiet as the BMW. At speed it’s quieter, but when moving slowly it will make some noise. The bigger 350d model offers more performance and sounds better, too. It’s smoother, comes paired up with a 9-speed automatic ‘box, develops 254bhp and covers the 0-62 dash in 7.1 seconds. Running costs? The GLE is a large car but Mercedes has done a commendable job of keeping costs down. The 250d model returns 47.9mpg at best and emits 155g/km of CO2. The 350d model returns 42.8mpg economy and emits 174g/km of CO2. These are decent numbers, and moreover, the 250d is relatively inexpensive to insure, sitting as it does in group 35 out of 50. Inside, the Mercedes doesn’t look quite as fluid as the BMW. Fit and finish are good and it feels solid enough, but there are issues. The design is one of them, while the infotainment system is another. It’s not as slick as the iDrive and Mercedes have put the rotary dial in an awkward position. 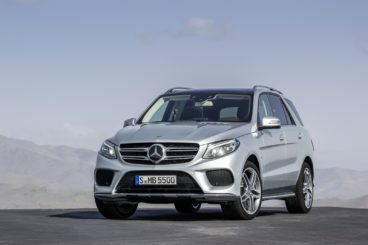 Is the Mercedes GLE practical? The wide opening doors make it easy to access the front, but large wheel arches complicate matters when people are trying to get into the rear. The driver’s seat and steering wheel are plenty adjustable, and there should be enough space up front and in the rear for most people. That said, rear legroom isn’t on par with the BMW and there is no option of a third row of seats. The glovebox is huge, there are plenty of storage spaces, and the square boot measures 690-litres. The new Range Rover Sport is a commanding, luxurious and comfortable way to travel. It’s never been the most fun car to drive, largely due to how big and heavy it is. 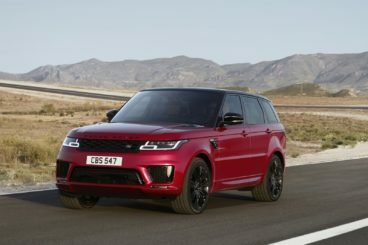 Weight-saving measures are in effect this time around, however, and the new Range Rover sport feels more involving than ever. Stability has also been improved, while a redesigned chassis and an anti-roll system levels the car out in bends. Body lean is less of an issue now, too. That said, it’s still a heavy vehicle and you will need to slam those brakes on from time to time. In terms of its engines, there’s a trio of diesels to choose from. A 2.0-litre SD4 model sits at the bottom of the range, where it develops 237bhp and covers the 0-62 sprint in 8.3 seconds. However, it struggles with the car’s weight occasionally; a better option is a 3.0-litre V6 diesel that develops 298bhp and covers the 0-62 dash in 6.8 seconds. Rounding off the range is a 4.4-litre SDV8 diesel that develops 329bhp and covers the same 0-62 stretch in 6.9 seconds. It’s smooth and quiet but nowhere near as quick as the fastest BMW. Running costs? The 3.0-litre diesel engine is our top pick and it returns a decent 40.4mpg while emitting 185g/km of CO2. It has a BiK rating of 37%, which is the highest one. The bigger 4.4-litre diesel has the same BiK rating but can only return 33.6mpg at best while emitting 219g/km. Inside, the Range Rover Sport impresses us with its comfort and quality levels. It’s well-built, and feels and looks as luxurious as the BMW. That said, it’s not quite as easy on the eye as the BMW but there’s no doubting that this is a very plush cabin. The raised seats give you a commanding view of the road, and insulation is excellent. The dashboard is coated in leather, button clutter has been reduced, and a 10” infotainment screen is more responsive than last time. Is the Range Rover Sport practical? It’s smaller than the standard Range Rover but it’s still a sizeable car that’s long and wide, and which can accommodate five adults well. That said, the middle seat is a bit of an oddly shaped one and it’s best to see this as a 4.5 seater. There is a seven-seater option available but the extra row is suitable for kids only. The boot, meanwhile, measures 784-litres and extends to 1,761 when you fold the rear seats. Has the X5 fallen down the pecking order in the luxury SUV class? It feels that way. No longer as spacious or as fun to drive as some of its rivals, it can no longer claim to be the go-to car of its type. It still boasts excellent fit and finish, a gorgeous interior and some powerful but economical engines, but the new BMW X5 Diesel Estate should be tested alongside others before you buy.